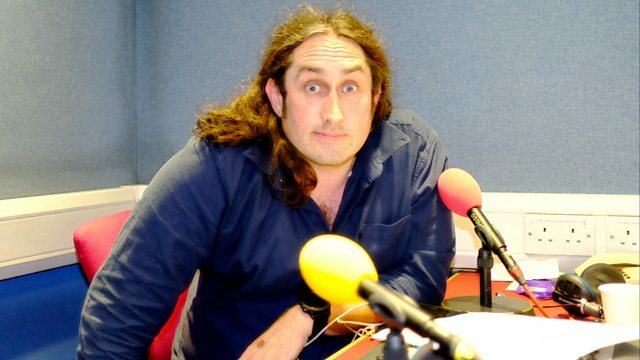 Mark and Stuart chat to surrealist comedian Ross Noble. Mark and Stuart chat to surrealist comedian Ross Noble. Last year he was treading the boards playing Igor in the stage version of Mel Brooks' iconic movie Young Frankenstein. This year he'll be embarking on his 16th stand up tour. As well as this, there's the never-ending feature The Chain - which links together one record to another using YOUR suggestions - and Teatime Themetime, when you pit your musical wits to be first past that Chocolate Bourbon post and gain glory round the office biscuit barrel. AND if that weren't enough - we bring you the latest updates in the world of rock and pop in today's Music News. Rainbow Chaser: The 1960s Recordings (The Island Years).